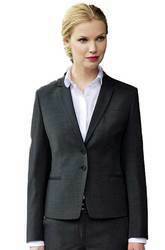 We are one of the leading manufacturers & suppliers of Ladies Corporate Uniform. We are one of the leading manufacturers & suppliers of Corporate Shirt. We are engaged in offering our clients with excellent quality Corporate Uniform. We are one of the leading manufacturers & suppliers of Office Staff Uniform.